Did you know that… during the 16th century the cloth trade – on which the region’s prosperity was based – went into serious decline? Poverty and unemployment increased, offering a fertile breeding ground for the new religion of Protestantism. The Catholic pope in Rome branded the ‘new-believers’ as heretics. Many people from Heuvelland fled the country to escape persecution and some eventually found their way to Sandwich and Norwich in England. Did you also know that one of the First-ever scouts was killed near Kemmel during the First World War and now lies buried in the village churchyard? His name? Second Lieutenant Musgrave Cazenove Wroughton. Wroughton was one of the 20 young boys who Baden-Powell took on the first-ever scouts camp to Brownsea Island in 1907. 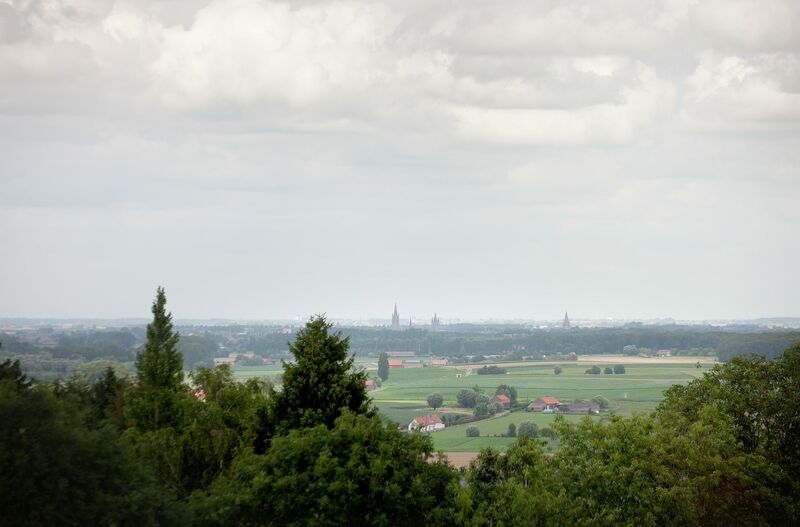 But Heuvelland, as the name in Dutch suggests, is most well-known for its green and hilly landscape. These hills are known locally as ‘mountains’, even though the highest of them – the Kemmelberg or Mount Kemmel – is just 156 metres above sea level. Some traditions claim that this is the hill where the ‘Grand Old Duke of York’ marched his 10,000 men up and down, as immortalised in a well-known British nursery rhyme.